Girls just wanna have fun… And what could be better than fun in the desert sun?! If you’re headed to Palm Springs for a bachelorette weekend (or a girls’ getaway), check out the two perfect itineraries we’ve curated for you and your gal pals. Whether you’re splurging or value-hunting, Palm Spring’s natural desert beauty, mid-century mod vibe, plethora of hotels and spas and always sunny attitude are sure to please. Don’t forget to slather on the sunscreen! Check-in to the beautiful Viceroy Palm Springs. Catch up with the girls over eclectic wine and eats at Johannes Restaurant. Enjoy a warm night stroll along the lively Palm Canyon Drive, and pop into Dink's Ultra Lounge for a mojito or two. Take a rejuvenating hike while taking in the desert views at Indian Canyons. 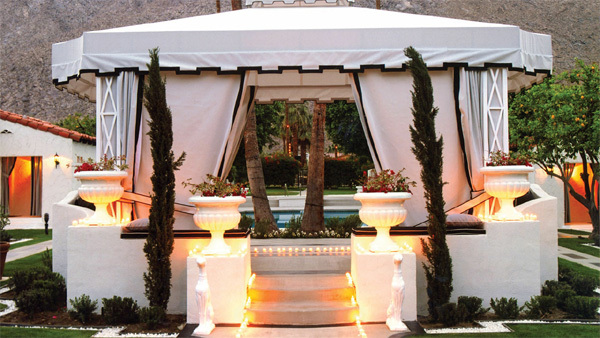 Then get pampered like princesses at the Viceroy’s Estrella Spa. Relax by the hotel's adults-only pool while catching up on your tan and the latest gossip. Show off your moves at the always happening Zelda’s Nightclub. Recap the weekend’s memories over cappuccinos and croissants at Citron. Leave a little time for a stop at the original swanky Trina Turk Boutique as you drive out of town. Check-in to the Ace Hotel & Swim Club. Reconnect with your gal pals over dinner, margaritas and mariachis at Las Casuelas Terraza. Take in the atmosphere along Palm Canyon Drive, and if the margaritas weren’t enough, hit The Falls for a cosmo. For a breathtaking view of Palm Springs and the entire Coachella Valley, take a ride on the Palm Springs Aerial Tramway located right on the edge of town. Hiking trails and vistas abound at the top. Lounge with the gals poolside, but don’t forego a massage or facial at the Ace Swim Club’s laid back Feel Good Spa. Dinner at the eye-catching and delectable Circa 59. Get your groove on at Costas Nightclub or hit the Amigo Room Bar back at the Ace Hotel for live music and artisanal cocktails. Shop till you drop at Desert Hills Premium Outlets. Then restore your body with a date shake from Hadley Fruit Orchards. Need more hotel, restaurant or activity ideas? Have a look at our Best of Palm Springs City Guide. Have a better itinerary for us to post? Feel free to contact us or post a comment below!